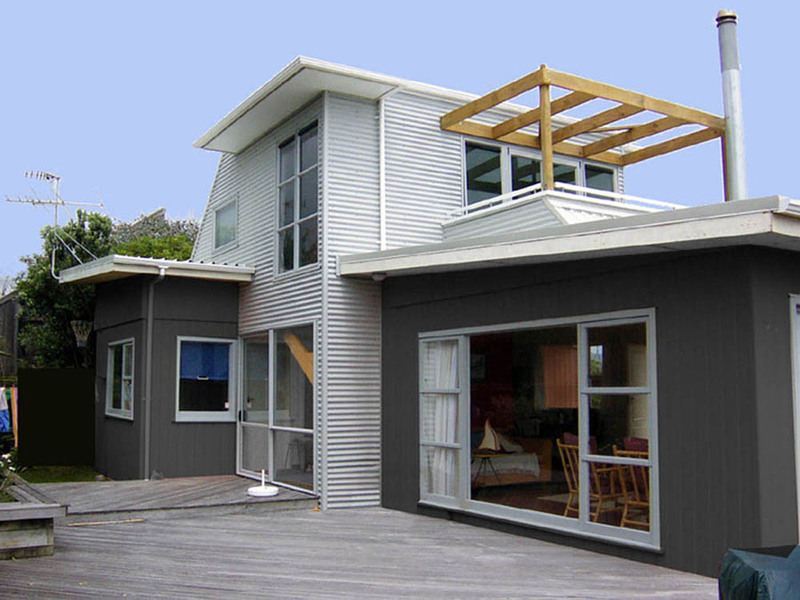 This project was to transform a simple single storey dwelling to a 2 storey contemporary holiday house. 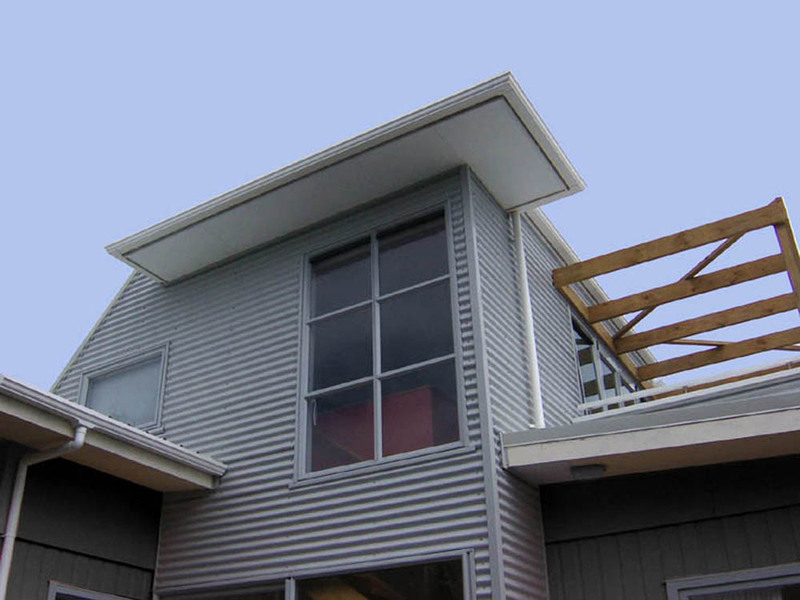 The house is located near the sea, hence durable, low maintenance cladding materials were selected for the exterior. 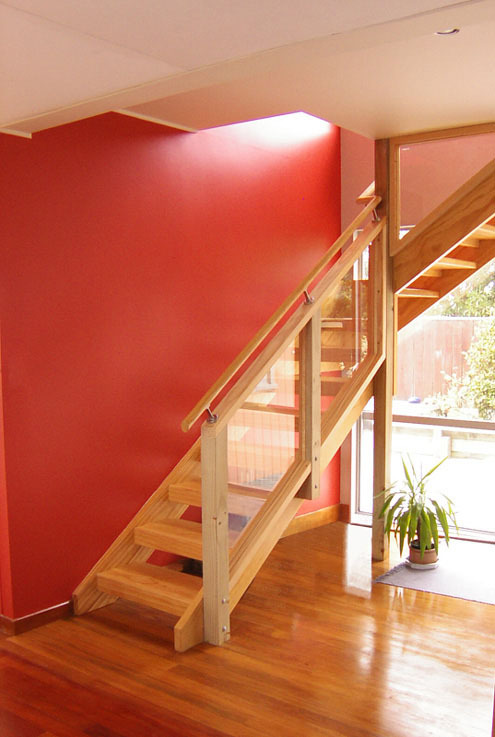 Much of the interior is painted in vibrant colours . The house area was increased from 70 m2 to 125 m2 including a 7m2 upper floor deck. 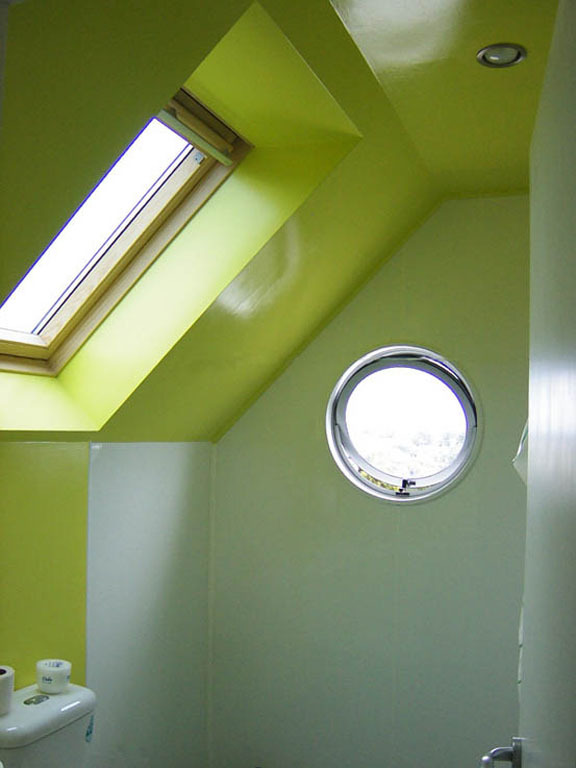 The re-design has some maritime influences including a porthole bathroom window and the form of the roof/deck.